If you’re new to aquariums or are just starting your first saltwater tank you might be confused by all the equipment you need. Or, that people say you need. Powerheads are very advantageous for saltwater tanks. They can also be beneficial for freshwater tanks. Powerheads work to create a movement in the water that doesn’t occur naturally in aquariums. Saltwater fish benefit from this the most although many freshwater fish enjoy the extra water movement as well. If you’re finding the best aquarium powerheads take some time to review which benefits and features work best for you and your tank. Powerhead is essentially a pump that creates more water movement than what is already occurring in the aquarium. They can be used together with wavemakers or on their own. How many fish you have in your aquarium? If you need it to work with a protein skimmer? You have an existing water pump? You’ll be using a wavemaker in your tank? How much water movement you want to generate? A few other things to consider are size noise and cost. 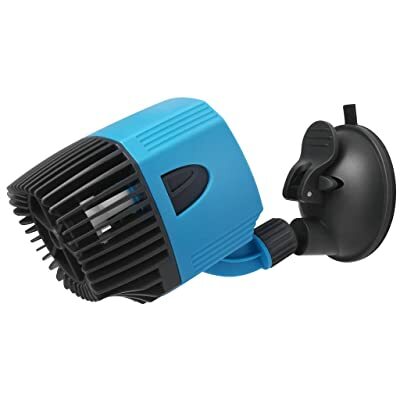 Although these vary greatly throughout the powerheads that are available online or in pet stores, they are often “make or break” aspects for all aquarium enthusiasts. 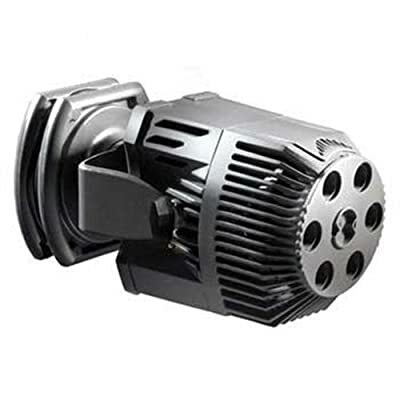 There are powerheads available to fit any budget, however, lesser expensive powerheads are likely to be louder and larger. Finding a balance that’s right for you your aquarium and the space you have near your aquarium to house these accessories is something we hope to help you with as we evaluate the top five picks for best Aquarium powerheads. Together these three areas can set your tank up for success. A versatile powerhead will transition from tank to tank as you grow or downsize. Additionally, power can transition with you also. If your budget allows you to make a genuine investment then you can purchase a powerful accessory that will grow with you. Versatility in size is usually achieved by exceeding what your tank requires. The usual formula for reef tanks is to identify whether you’re using soft corals or SPS types. Then, with the size of your tank set your powerhead up for either a 10 to 20 tank turnover rate per hour (soft corals) or a 20 to 40 tank turnover rate per hour (SPS). Powerheads are typically designed for reef or tropical aquariums. They aren’t the only source of water movement but do contribute significantly to the health of the overall tank. If you’re putting together a reef tank, you’ll be looking for a powerhead. If you have any difficulty finding information on powerheads, they are also called submersible pumps. Typically the entire unit is submerged under water and directs water flow as well as keeps debris off the bottom of the aquarium. Directed internal water flow through a powerhead can easily be done. There are a few different types of powerheads available. As you might imagine, these powerheads use a propeller to generate their power and move your water around. They are the most common powerhead type and generally, energy efficient. They can move large volumes of water with low velocity behind the movement. The reason propeller powerheads are the popular choice is because of how natural the water flow is. Because it’s low velocity but a wide range, it is very similar to the oceanic movement through reefs. This style is the classic option in aquarium building. They create a single stream of water that delivers a very strong current. They’re really versatile and often less expensive. Aquarium enthusiasts everywhere are getting into these new powerheads. Rather than the propeller or jet stream type, a cross-flow powerhead delivers multiple flow patterns that are unique to each powerhead. This provides a new set of benefits that other powerheads can’t touch on. The multiple flow patterns help debris float through the tank in a more natural way with various fluctuations rather than on one stream. Highly rated and for many good reasons! It’s quiet, safe and durable. Not to mention Marineland is a well-known brand among aquarium enthusiasts. The best feature here is kind of the cumulative package you’re getting from this powerhead. The price is great for a model that is generally quiet, and small in size for the gallons per hour it can process. It’s not the most powerful unit available. However, it fits most beginner budgets helps control dust and is very quiet. Building your own aquarium takes a lot of weighing your options in equipment. This could be a great way to introduce yourself to powerheads without breaking the bank. The voyager is known for its versatility and loved by many aquarium enthusiasts. Power is what you’re getting here. Mind you, you’re paying the price for it. However, for the price, you’ll get a long-lasting powerhead that is very versatile and can readily transition from one tank to another. Being one of the more innovative powerheads available, it installs onto the background glass then you provide the direction. It can stream in an arc of 180-degrees vertically or 360-degrees horizontally. There’s also a lot of control available as you can remove the front ring and allow for a wider water stream. There is a lot of value in this powerhead, and if it’s in your budget it could be the right powerhead for you. 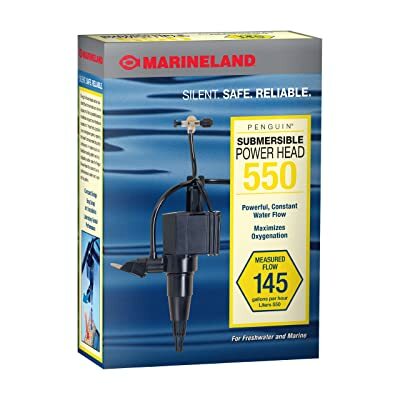 If you’re on a tight budget, this could easily be the powerhead that is right for your aquarium. It’s versatile, though not as much as the more expensive options, and powerful. The design on this powerhead is unique in that it’s meant to mimic river or reef currents. If you’re looking for something to keep your freshwater fish more active without disrupting their environment this is a great choice. Wattage variances are available so if your goal is to have a really mild current you can always go down a level of wattage. Design and versatility can make equipment significantly valuable to aquarium owners. 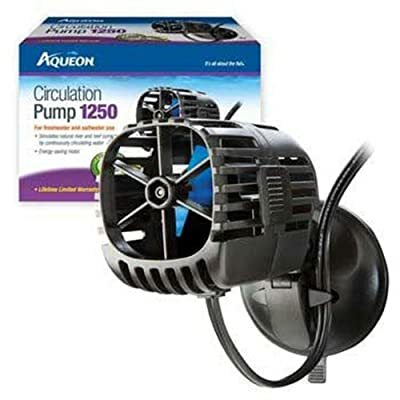 You’re definitely getting more than what you’re paying for with the Aqueon Circulation Pump. It’s a powerhead that keeps giving. With super-efficiency in energy consumption and easy maintenance, this powerhead won’t be on your mind much after installation. 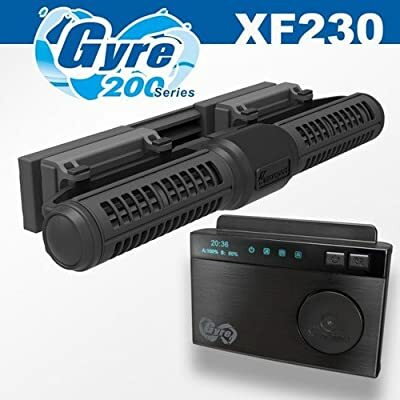 The Maxspect Gyre XF-230 delivers whirlpool type water movement. It’s completely unique in design and delivers a quality that can’t really be touched by others on available. This whirlpool movement comes from the cross-flow technology that creates movement through nearly the whole tank. For you, this means no dead spots. For your fish, this means a hyper-excited environment. With an environment that is stimulated to keep debris floating, eliminate dust and provoke fish activity it’s hard to beat. This powerhead isn’t in many aquarium owners budget for accessories. But, if you have the budget for this accessory go for it! There are not many gyre producing powerheads available and this one has everything you could ask for in a powerhead. A combination of the high flow rate and rotation allowance is this powerheads best feature. With about 2642 gallons per hour flow power this is a top contender in power alone. Then when you add in the ability control the flow direction, it gives you a lot more control than most other powerheads. The flow directions are designed to mimic the natural flow of a reef. Stimulating your fish, keeping residue out of the gravel, and moving water across the tank. Our final say here is that this is one of the best values available. The sheer power for theprice is worth picking up this one if a powerhead is in your budget. However, if you’re looking for something more specific to your tank this might not be for you. The features are generic although they deliver high-quality each time. The clear winner here is the Kedsum Aquarium Circulation Pump. It offers all the value you could expect for anything in this price range and outperforms other powerheads that are more expensive. It isn’t a wavemaker by any means, but it does make a significant impact in creating a powerful flow. Giving your fish the feel of a real reef current, this powerhead pushes around about 2640 gallons of water an hour. This is a great option for features a great price. It delivers a lot of power and is extremely versatile because of that.